Very little can compare to the noise and disruption of shaking washing machine. When the average washing machine spins between 600 – 1400RPM, it is not surprising how noisy they can be. Although a washing machine will never be totally quiet, thumping, shaking, rattling, and walking are not normal. The following troubleshooting steps can help you determine the cause of your machine’s wobble. 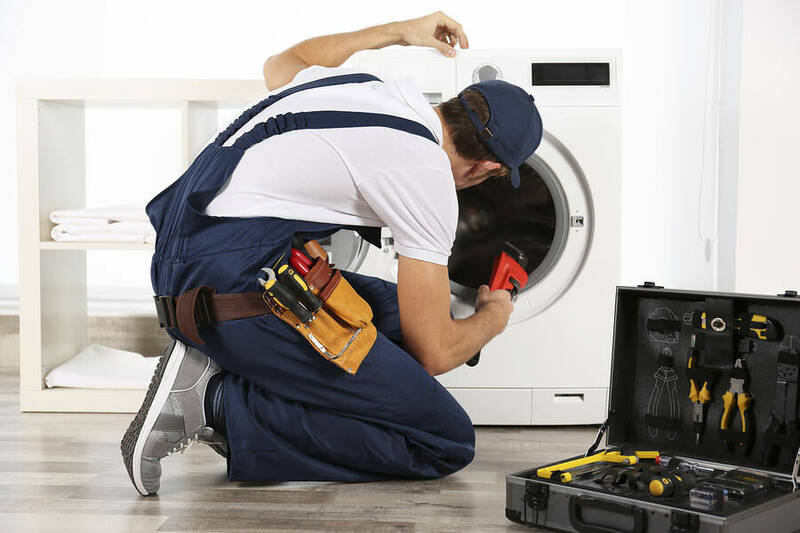 However, if you need washing machine repair, It Is Fixed Appliance Repair is available seven days a week in Atlanta and the Metro Atlanta area. Contact us or book online for same day*a appointments. Washing machines are often shipped with hard plastic spacers to protect the machine during transportation. These parts need to be removed before you use your machine. 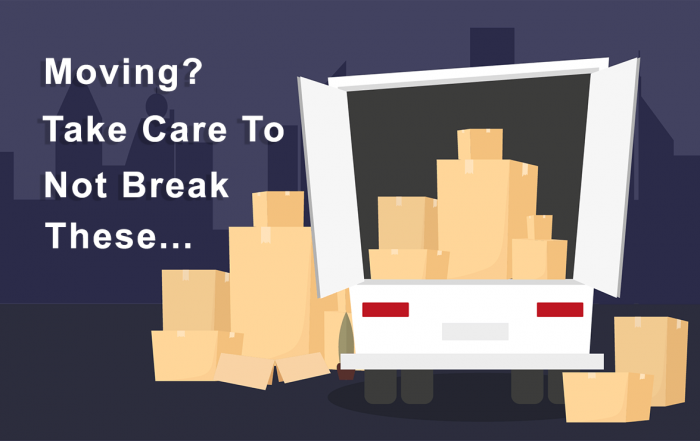 If your machine is new or you have recently moved it, check to ensure no shipping materials were left in the unit. The spin speed of an average washing machine is between 600 – 1400RPM. If the washing machine is not balanced, it may shake violently during the spin cycle, causing water to spill on the floor. Redistributing the load will usually solve this issue if the cause is due to too many clothes on one side of the unit. A washing machine imbalance can be caused by a unit that does not sit level to the ground. Place a level on your washing machine. If the bubble on the level does not sit center the washing machine will need to be adjusted. Refer to our Washing Machine Maintenance Guide for detailed instructions on how to level your washing machine. While we do recommend running full loads to save energy and wear and tear on your machine, overloading your washer can lead to shaking, loud thumping, or “walking.” Fix: Always follow your owner’s manual’s recommendation regarding load size and weight. If you are using a pedestal, it is important to ensure that it is connected to the washer correctly. If the machine shifts on the pedestal when in use, it is not firmly seated on the pedestal. On some machines is necessary to remove the feet before the machine can attach to the locking mechanism. Refer to your owner’s manual to ensure the machine is connected as it should be. The flooring under your washer must be able to support at least 400 pounds. Otherwise, the flooring may flex as the machine is in use causing the machine to shake and vibrate. If you have older floors, a 3/4 inch sheet of plywood under your washer and dryer can help distribute the weight of the washing machine and provide a more secure platform. However, it is recommended that you contact a contractor to reinforce the floor. Front-loading washing machines use shock absorbers to help dampen movement during the spin cycle. These are attached to the frame and the washing machine tub. If the shock absorbers are failing, the spin cycle will be very loud. It is important to repair this issue as quickly as possible as the vibrations may damage other components inside the machine. To access the shock absorbers, remove the front panel of your machine following the directions from your owner’s manual. Inspect the shock absorbers for signs of wear, broken parts, or fluids. If the shock absorbers are worn out or broken, they will need to be replaced. It Is Fixed Appliance Repair carries parts for most manufacturers. If you need assistance replacing parts on your washing machine, contact us for a same day* appointment. Many top-loading washers have a “snubber ring.” It acts as a cushion between the base of the washing machine and the tub support. Its purpose is to reduce vibrations during the machine’s spin cycle. There are different types of snubber rings. Some are made with lubricated felt, others are made with rubber or hard plastic. Like most parts of a washing machine, the snubber ring breaks down over time. Eventually, it may wear enough to allow the metal base to contact the tub support. This will cause the machine to shake and vibrate violently. To inspect the snubber ring, remove the front panel of your washing machine following the guidelines from your owner’s manual. Examine the snubber ring for signs of damage. You may see a dislodged pads or white dust. If the snubber ring is damaged, it will need to be replaced. Replacing the snubber ring requires removing the tub springs. This part is under tension, and it can be dangerous to disconnect these springs if you do not have the proper tools and equipment. If your snubber ring needs to be replaced, we recommend contacting a professional washer repair services like It Is Fixed. We offer same day* appointments in Atlanta and the Metro Atlanta area. If you need fast, reliable washer repair services, call us or book online today.